For some, the idea of being persecuted over religious beliefs may be unthinkable. For others, it’s a harsh reality — and sometimes a death sentence. This persecution is exactly the type that 20-year-old Zachary Lien of Boise is trying to eradicate. 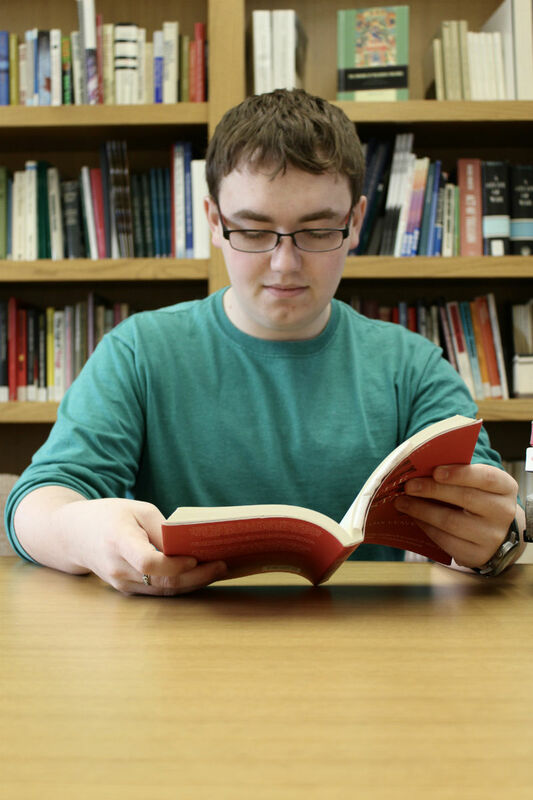 As a student in the University of Idaho’s College of Letters, Arts and Social Sciences double majoring in inter­national studies and political science, Lien spends his time studying the human rights violations faced by apostates, or people who renounce their religion, in Islamic countries. Apostasy is treated as a serious crime with incredibly severe punishments. Lien’s project focuses not only on the number of people convicted of apostasy or murdered by neighbors and family members in extrajudicial, or unauthorized, killings, but also on the governmental and societal re­percussions of apostasy. Most importantly, however, Lien is dedicated to proposing policy solutions to the problems of violence, imprisonment and death that many apostates face. Some of Lien’s proposed solutions include having Western countries deny foreign aid to certain problematic countries in order to instigate change, or even creating a protective coalition between secular organi­zations. Lien does most of his research through UI’s Martin Institute, a program which allows selected students to conduct directed undergrad­uate research on a personal topic. Additionally, Lien spent six weeks at the Library of Congress working with a mentor in the Mount Vernon Leadership Fellows program, and he even presented a speech, “Religion and Curiosity,” at TEDxUIdaho 2016. In February that same year, he represented UI at the Wheatley International Affairs Conference discussing religion and international affairs. Lien reads in the Martin Institute’s library. The institute administers the undergraduate international studies program. Lien received an OUR Undergraduate Research Grant. Learn more. Though Lien’s research spans the globe, his inspiration to study aposta­sy grew out of personal experience. Lien intends to become a professor to teach how international studies and religion intersect, and he’s immensely grateful for the support he’s received at UI. 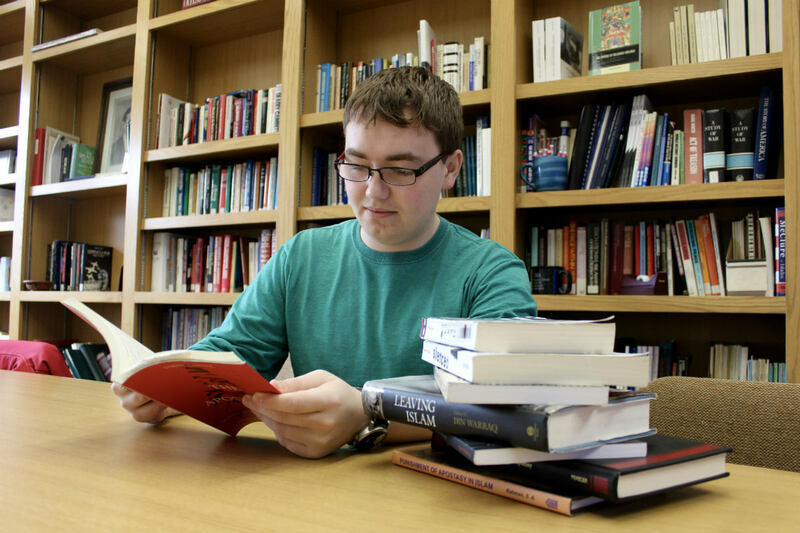 Zachary Lien sits with the books he uses for his research in the Martin Institute. PHOTOGRAPHER: Carly Scott, a sophomore from Buhl, Idaho, is majoring in mathematics and biology.